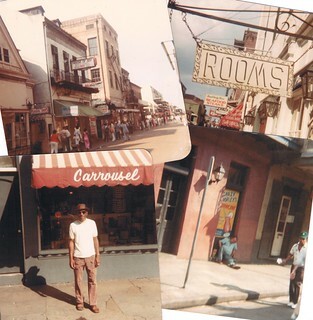 Stephen W. Terrell's (MUSIC) Web Log: New Orleans, Here I Come! 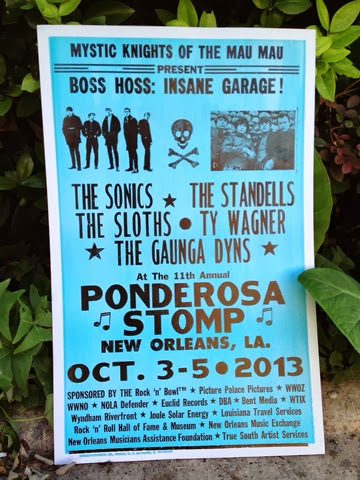 As I've been babbling about for the past several weeks, I'm off for New Orleans today, where I'll be enjoying -- and blogging about -- the 2013 Ponderosa Stomp. No, this isn't some weird cult ritual dedicated to the memory of Hoss Cartwright. It's a music festival dedicated to the "unsung heroes of American music." On the bill are R&B, soul, rockabilly, zydeco, and garage-rock acts. This will be the second Ponderosa event I've attended. Three years ago I went to their Detroit Breakdown show at Lincoln Center in New York City, where I saw Question Mark & The Mysterians, The Gories, Death and more. This year's Stomp lineup includes The Sonics, The Standells, Ty Wagner, Maxine Brown, Chris Clark (the first white singer on Motown), Chris Montez ("Let's Dance"! ), zydeco fiend Lynn August, Charlie Gracie, the unstoppable Swamp Dogg and many more. I've been playing many of these artists on Terrell's Sound World and The Santa Fe Opry during the past few weeks. 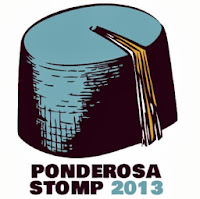 And half of my latest Big Enchilada podcast ("Chompin' at the Stomp") is devoted to Ponderosa acts. You can listen to that podcast on the player below. 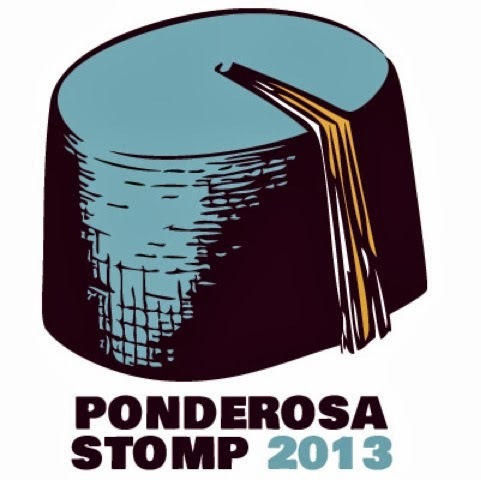 And check out these official Ponderosa Stomp videos as well. The Sonics still are psycho! 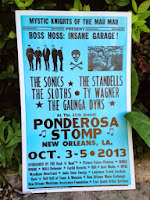 You can find more Ponderosa Stomp videos HERE.